You can earn 40 yards with this purchase! 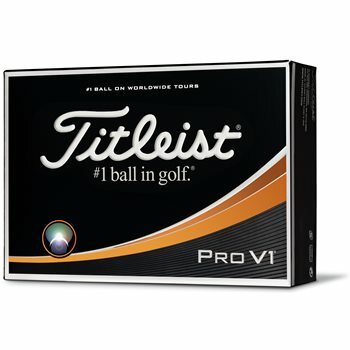 The new Titleist Pro V1 golf ball provides longer distance and more consistent flight along with lower long game spin. The Pro V1 is engineered with very soft feel, longer lasting durability and outstanding Drop-and-Stop™ short game control to help bring total performance for every player. The multi-component technology construction utilizes a softer compression Next Generation 2.0 ZG process core with a soft Urethane Elastomer ionomeric cover system and new spherically-tiled 352 tetrahedral dimple design. Each element of the Pro V1 golf ball works together to deliver the performance you need on every shot. Review by Bob Shirling , 1 year ago. Review by dlee, 1 year ago.